Feature: Users with both EZFacility and InfusionSoft are now able to now synchronize their contact details between both platforms. In order to synchronize the customizable tags from InfusionSoft with EZFacility, these tags must first be created within InfusionSoft. Open the setup tab, and then select Add Tag button to create a new tag. 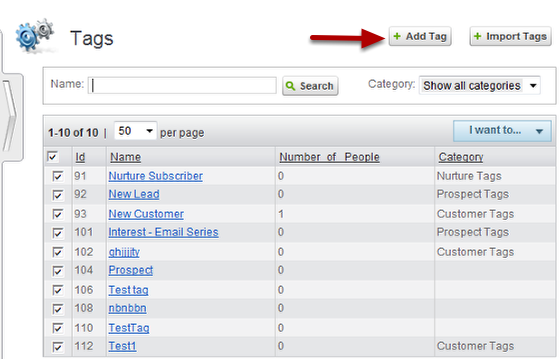 b) Category - Choose from the following categories: Customer Tags, Nurture Tags, Prospect Tags, or Other (custom). c) Description - Description of the tag you are creating. Remember to select "Add Tag" to save the tag. 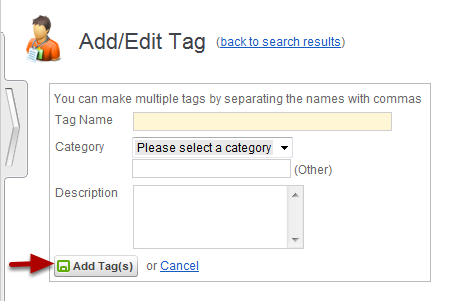 All of the tags the user has creating through InfusionSoft will show up in the drop down menu.